I have for some 40 plus years been a gun enthusiast and carried a firearm most of my adult life. I served in the USMC during Vietnam and have shot competitively for several years. I am a Certified Firearms Instructor and an avid reloader. So believe me when I say I know guns and the importance of a well-crafted gun belt when carrying a firearm comfortably all day long. That is exactly why my passion is handcrafted gun belts. This is my personal weapon I carry on one of my handcrafted gun belts. My primary carry has generally been the 1911 although I have carried many other guns over the years in every type of holster imaginable. During that time, one thing became apparent with regard to comfort and that was the holster and belt used. So I began taking interest in the design aspect and construction of the holster and belt that were available for concealed carry. 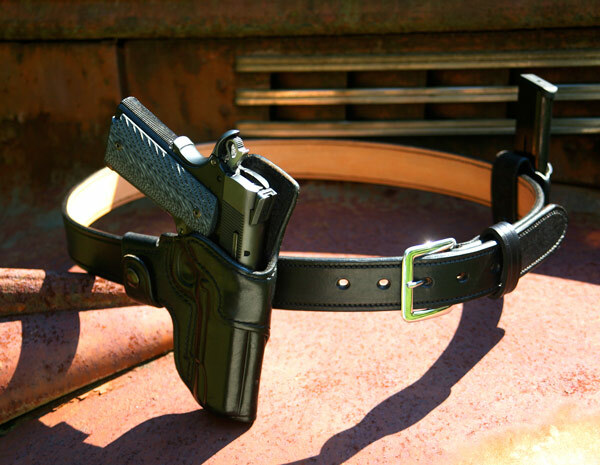 One thing that I began to realize was: The belt is often the most overlooked piece of equipment for concealed carry. I never could understand this. As the years passed I could see retirement just around the corner and the opportunity to fulfill a dream and my passion for leather and how it related to firearms grew. Thus in 2008, A&G Custom Gun Leather was born. We opened a small shop and started to work. After a short time, I began to see a need for a faster delivery while still holding to the handcrafted skill I wanted to embrace. 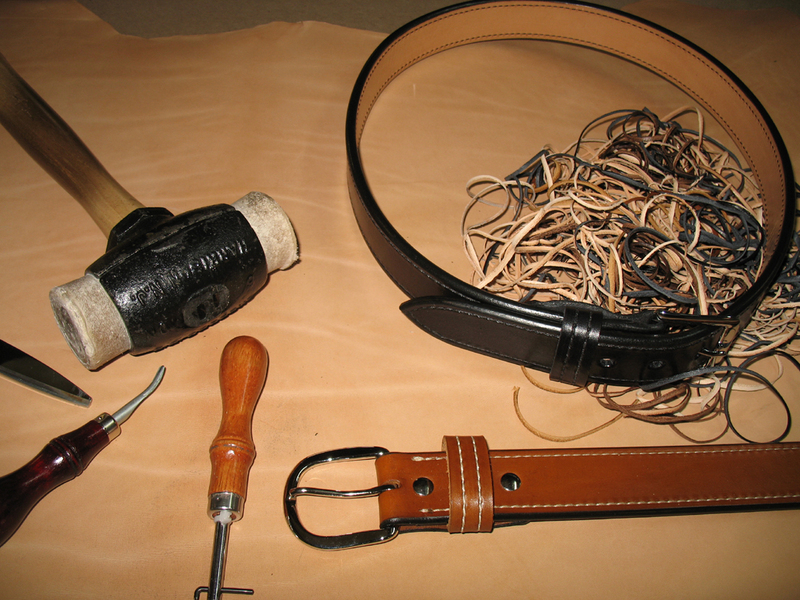 After considerable discussion, time and money, and the addition of Tom—a nine-year veteran of leather crafting—we introduced our “Quick Ship Program”. Everything in our USA shop is handcrafted, one at a time, and we stand behind our products with our 1 year “no BS warranty”. If you’re not happy with the product – we’re not happy. If we can help in any way, just let us know.